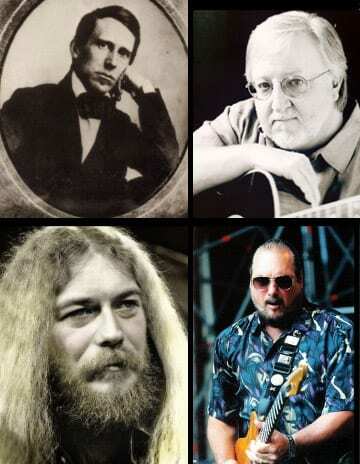 Nashville Songwriters Hall of Fame Foundation (NaSHOF) has announced this year’s inductees for the Nashville Songwriters Hall of Fame: From the Songwriter category, hit writers Pat Alger and Steve Cropper; From the Songwriter/Artist category, the late Pop/Country star Paul Davis; and by special induction, America’s first professional songwriter Stephen Foster. The four new inductees will be welcomed into the elite songwriting fraternity by their peers at the 40th Anniversary Nashville Songwriters Hall of Fame Dinner & Induction Ceremony, presented by AT&T, on Sunday, October 17, at the Renaissance Nashville Hotel. The Nashville Songwriters Hall of Fame Dinner & Induction Ceremony features tributes and performances of the inductees’ songs by special guest artists. NaSHOF’s sister organization, the Nashville Songwriters Association International (NSAI), also presents its annual awards for the year’s best Song, Songwriter and Songwriter/Artist, as well as the Top 10 “Songs I Wish I Had Written,” as determined by the professional songwriters division. Tickets for the event are $200 each. A limited number of seats are available to the public this year and may be purchased by contacting event director Mark Ford at hoftix@nashvillesongwriters.com.